John Hospers was the first presidential candidate in the 1972 presidential election of the Libertarian Party. He also can be considered one of the founders of the Libertarian Party because of his book, “Libertarianism, a Political Philosophy for Tomorrow”, the first full length study of the modern libertarian philosophy published in 1971. John Hospers had not been a life long Libertarian. He was converted to the libertarian philosophy by Ayn Rand during the late 1950’s and early 1960’s. John Hospers was, however, more than just a politician. Since 1988, Hospers has been a professor emeritus in philosophy at the University of Southern California. Prior to his retirement he served as a professor of philosophy at the University of Southern California for much of his academic career. Prior to that time he had also taught at Brooklyn College and at California State University, Los Angeles. Hospers earned a Master’s degree in literature from the University of Iowa in 1941, and a Ph. D. degree in philosophy from Columbia University in 1944. As an academic, Hospers authored about 150 articles in scholarly and popular journals. He is also the author of “Meaning and Truth”, published in 1956, “Artistic Expression”, published in 1971, “Law and the Market”, published in 1985, “Human Conduct”, third edition published in 1995, and “Understanding the Arts”, published in 1982. 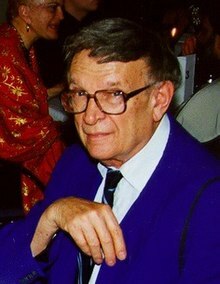 Hospers was also the editor of “The Personalist” from 1968 to 1982, editor of “The Monist” from 1982 to 1992, and also an editor of “Liberty Magazine”. He has also written basic textbooks for philosophy courses. At the Libertarian Party’s inaugural national convention in Denver, Colorado in 1972, Hospers was nominated to be its first presidential candidate, with Tonie Nathan as his vice presidential candidate team mate. In the Fall 1972 election, the Libertarian Party appeared on two state ballots, and won 3,907 votes, not an overwhelming response by the voters of the two states. But what sweetened their first attempt at a national presidential election was the winning of one Electoral College vote, assigned to the Libertarian Party by renegade Richard Nixon elector, Roger MacBride. Eight years later, the Libertarian Party would do much better at the presidential election. The presidential candidates for the Libertarian Party were then Ed Clark, for president, and David Koch, for vice president. David Koch was also a prominent Dutch American. The twosome in that election were able to obtain over a million votes for the Libertarian Party in the national presidential election, probably largely because of the substantial financial support provided by for the election campaign by Koch. Hospers returned to his academic position at the University of Southern California following the 1972 presidential election. But two years later he decided to run for the governorship of the state of California. Needless to say, he was unsuccessful in his attempt in that election. Again he returned to his university post, from where he retired in 1982. An hour-long video of Hosper’s life and work was released, in 2002, by the Liberty Fund of Indianapolis, Indiana as part of its Classics of Liberty Series. And in 2004, Hospers was reputed to have endorsed George W. Bush for reelection to President of the United States. At that time a questionable web site reported a diatribe by Hospers against the Democratic opponent, John Kerry, in that year’s presidential election. The author of this biographical profile has not been able to assert the authenticity of that diatribe, and doubts its authenticity. John Hospers was born in a small town near Des Moines, Iowa on June 19, 1918. During his early years he was raised in a household where Dutch was the language of choice. His parents were either Dutch immigrants or first generation Dutch Americans. He was fortunate that his parents were able to allow him to attend college or university, and he was thus eventually able to earn his doctorate in philosophy from Columbia University, and was able to launch a career in academia. Through his interests in philosophy and politics he was able to become involved with the early libertarian movement, and to become its first presidential candidate.